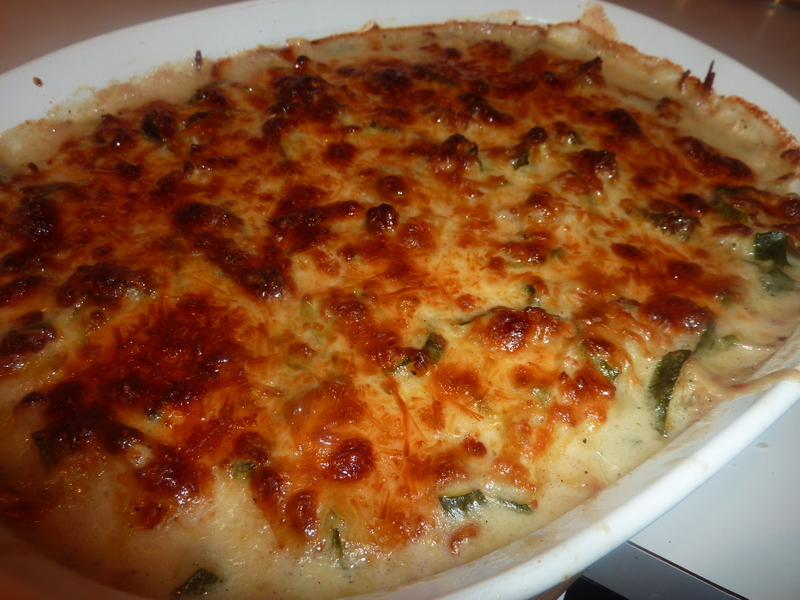 Yes, I feel comfortable and okay with adapting Julia Child’s recipe. And so should you, after you make the original a few times. I made this the night that Hurricane Isaac was pounding West Palm Beach with bands of rain. I must admit that I do get a bit anxious about hurricanes the older I get and also so many neighbors are now gone due to foreclosures. So when things get close I make delicious food that is good hot or cold. And if I still have power (no gas utility here for me) any leftovers of this dish will be an omelette that will roll your eyes. 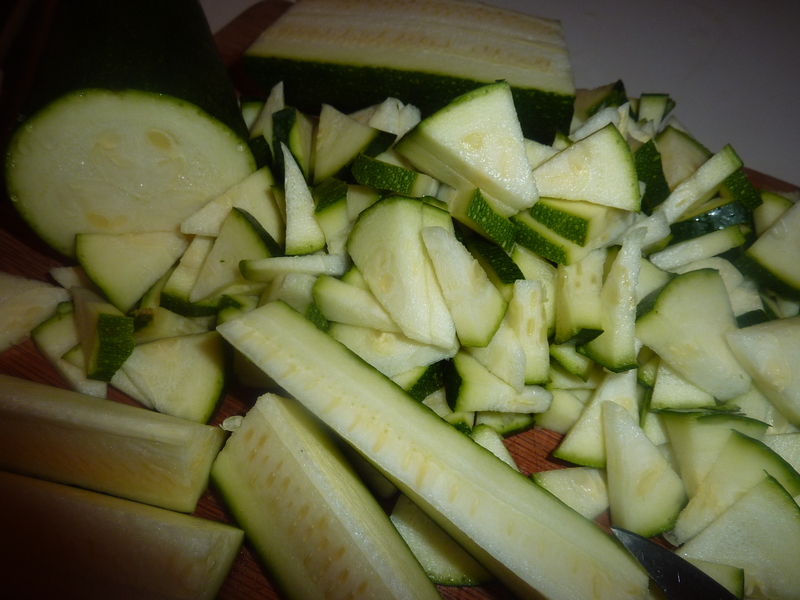 Prepare Zucchini (grate, dice or shred) and toss in a colander with 1 t. salt; let steep for 20 min. 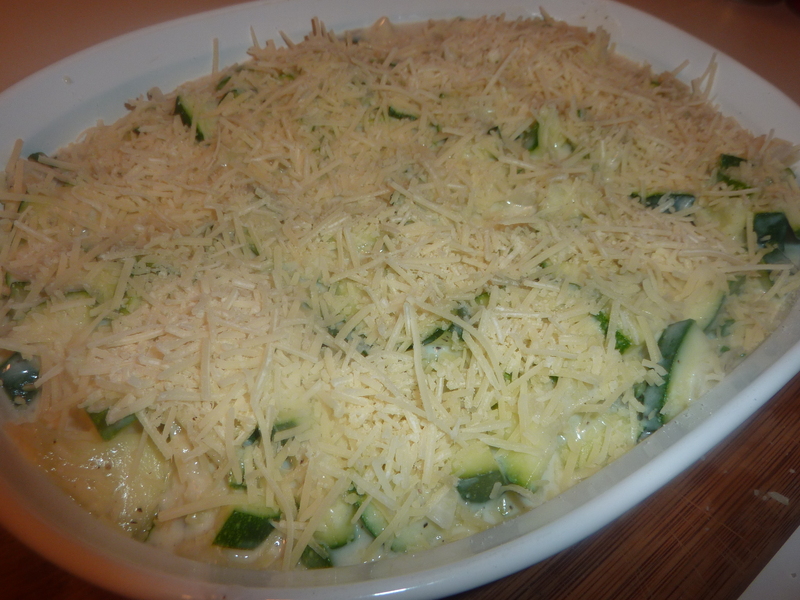 * Grating the zucchini is the original recipe. I prefer the slim triangles or thin slices work well too. I made this dish last night. 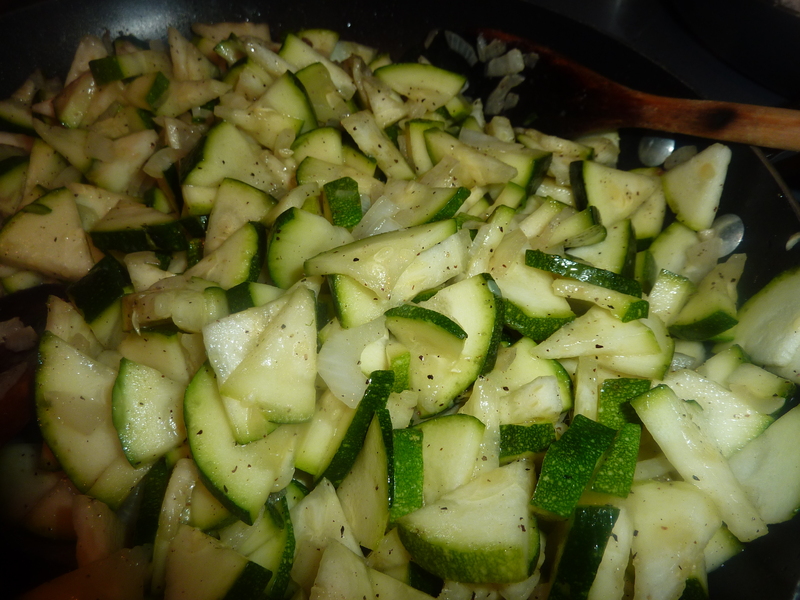 The Zucchini was right out of the garden. It was very good. I think I will try it with a few patty pan squashes that need picking. btw I could find the Badia Mojo Marinade for the chicken thighs recipe but I found Goya Mojo Criollo Marinade. I’ll give it a try.